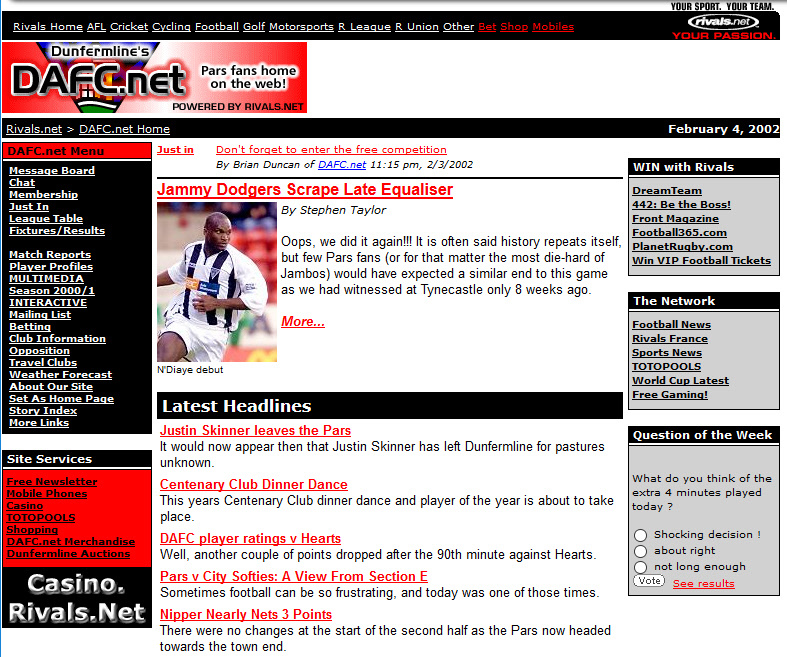 This site has been around in one form or other for 21 years as Douglas Scott and Brian Duncan setup a basic forum in October 1996. We have come a long way since then even though the current forum software has been in use for almost 15 years. Technology has also changed a lot since then. We do need to look at how we look forward to the next 21 years. Ian Morrison has recently developed a Mobile application for Android and iOS. 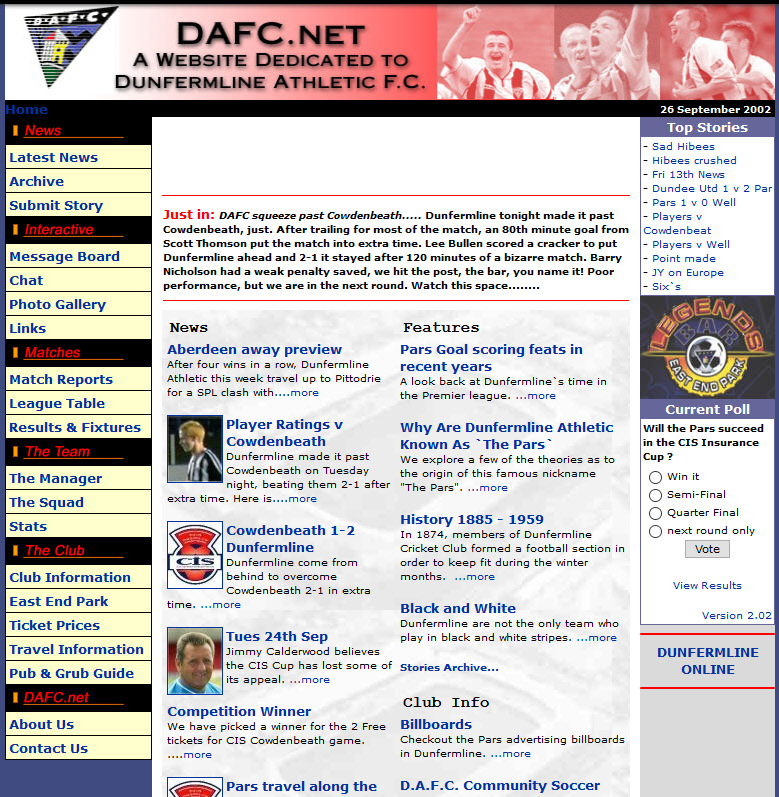 The reason we stopped adding Match Reports and Photos on this site was it was being duplicated on the Official site [ DAFC.co.uk - (COWS clubs official web site) ]. I was involved in the development of the official site  and didn`t have the time to spend on both (at that time).